Gain even more savings by combining your lodgings and airfares. Expedia has heaps of amazing Castel Di Tusa holiday packages that'll save you time and give you more cash to spend! If you secure a package deal on Expedia, you can save as much as 15%*. Within a matter of minutes, you can sort out everything you need for your next holiday using our extensive database. And — with more than 400 partner airlines and 321,000 properties from across the world, you'll have the freedom to be fussy! Don't worry about changing your travel itinerary, as we don't charge additional cancellation fees for almost all of our bookings. Itinerary looking a little thin? Castel Di Tusa holiday all booked but don't know what to do when you arrive? Let us make it easy for you. Many have said that knowledge is power. With that in mind, you're sure to feel a bit more powerful when it's time to leave Civic Museum of Ceramics. Still have some time to spare? Terrific art isn't just on display in museums or galleries. Get outside and feast your eyes on some extraordinary alfresco pieces at Energia Mediterranea. 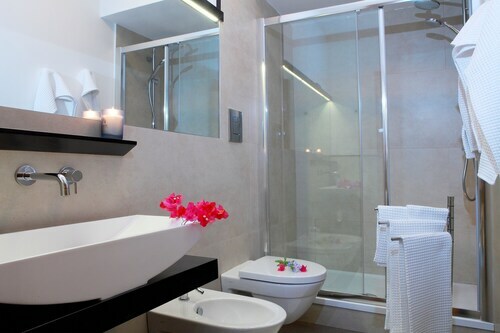 Locating a comfortable place to stay is often crucial to the perfect cheap holiday or luxury getaway. With just 4 accommodations in Castel Di Tusa, it's advised that you book as soon as you know your dates. Start your holiday on a luxurious note by slipping between the soft, silky sheets at the Tus' Hotel (C/da Torrazza Porto Marino Lotarello). Alternatively, the Il miglio in più (Via Nazionale 107) is a fantastic place for the budget-conscious traveller to spend their nights. Fontanarossa Airport (CTA) is the entry point for most visitors heading on a trip to Castel Di Tusa. It's situated 60 miles (97 km) from the town centre. 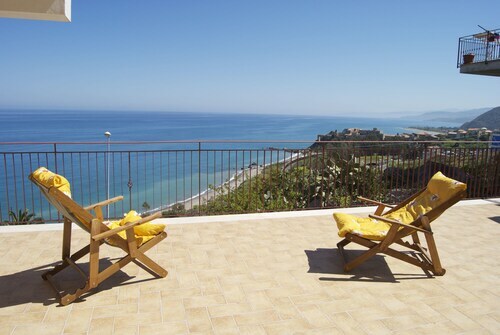 Offering direct access to the beach, this Tusa hotel is within 6 mi (10 km) of Window on the Sea, Madonie Regional Natural Park and Energia Mediterranea. Tiberio Gorges and Civic Museum of Ceramics are also within 12 miles (20 km). Tusa Station is 9 minutes by foot. Situated in Tusa, this guesthouse is within 9 miles (15 km) of Madonie Regional Natural Park, Window on the Sea and Energia Mediterranea. Civic Museum of Ceramics and Fiumara d'Arte - 38th Parallel Pyramid are also within 12 miles (20 km). Tusa Station is 21 minutes by foot. 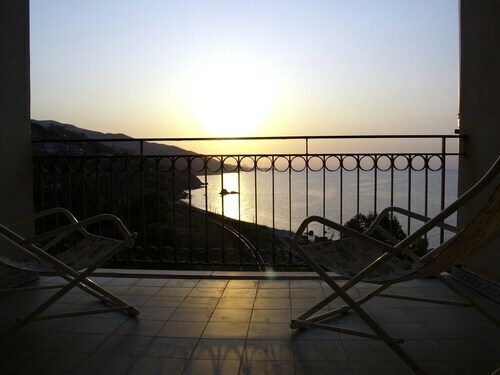 Situated in Tusa, this bed & breakfast is within 6 miles (10 km) of Window on the Sea, Madonie Regional Natural Park and Energia Mediterranea. Civic Museum of Ceramics and Fiumara d'Arte - 38th Parallel Pyramid are also within 12 miles (20 km). Tusa Station is 8 minutes by foot. 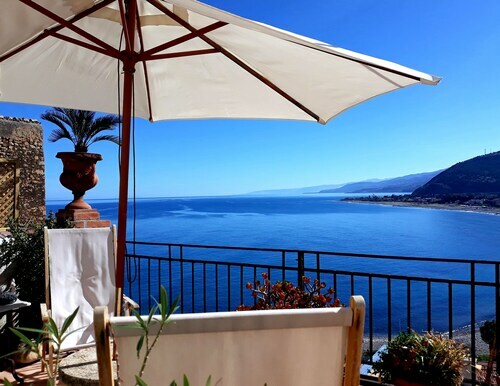 Located in the heart of Tusa, this romantic property is within 6 miles (10 km) of Window on the Sea, Madonie Regional Natural Park and Energia Mediterranea. Civic Museum of Ceramics and Fiumara d'Arte - 38th Parallel Pyramid are also within 12 miles (20 km). Tusa Station is only a 5-minute walk. 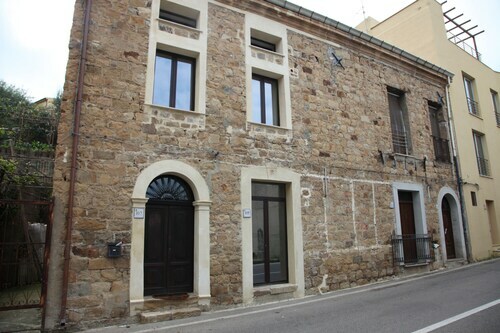 Offering direct access to the beach, this Tusa apartment building is in the historical district and within 9 mi (15 km) of Window on the Sea, Madonie Regional Natural Park and Civic Museum of Ceramics. Tiberio Gorges and Sanctuary of Letto Santo are also within 16 mi (25 km). Tusa Station is 11 minutes by foot. Situated by the ocean, this holiday home is within 12 miles (20 km) of Madonie Regional Natural Park, Energia Mediterranea and Tiberio Gorges. Civic Museum of Ceramics and Window on the Sea are also within 12 miles (20 km). Tusa Station is 12 minutes by foot. Situated in Tusa, this property is within 9 miles (15 km) of Madonie Regional Natural Park, Window on the Sea and Energia Mediterranea. Civic Museum of Ceramics and Fiumara d'Arte - 38th Parallel Pyramid are also within 12 miles (20 km). Tusa Station is 16 minutes by foot.